"This trek is a definite notch up in difficulty from the other treks covered here." That is, out of all the treks included in the latest Lonely Planet guidebook, "Trekking in the Nepal Himalaya." Having trekked extensively in the Himalayan Mountains, I thought I was quite prepared to meet the challenge. In a word, "hubris". Big time! The scenery was unquestionably huge and mind-blowingly stunning. 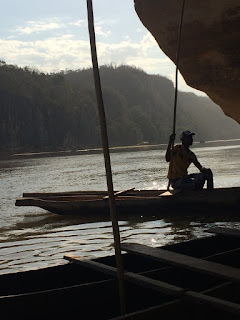 The local people were, as always, extraordinarily kind and hospitable. 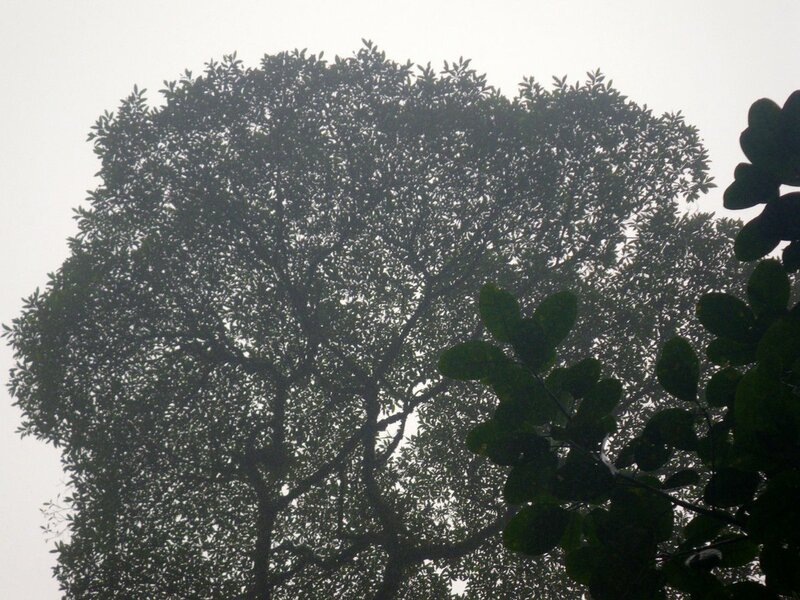 Walking in the Abode of the Gods does fulfill my quest for travel to sacred landscapes. Hiking at above 5,000 meters elevation for weeks is breathtaking; as in acute mountain sickness breathlessness! Especially so coming from sea level, Vancouver. An easy walk in the low-altitude jungle to warm-up and check-out a baby rhino afterwards was a pleasant wind-up to the expedition. Pilgrimage in the 21st Century? I walk along the Portuguese Way to Santiago de Compostela. 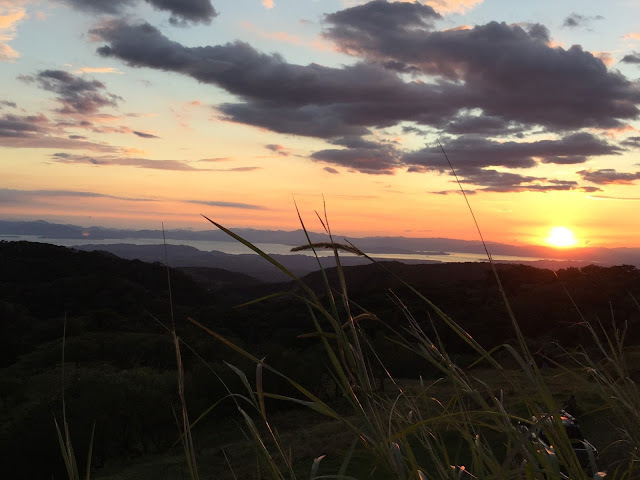 In today's hyper-connected, accelerated and materialistic life is there still a place for pilgrimage - where one walks, often alone and frequently over great distances towards a sacred destination? It is slow, it is basic, it is introspective; in direct opposition to what characterizes contemporary society. 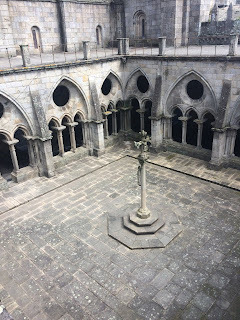 To help answer the question, I decided to again pick up my knapsack and follow in the footsteps of medieval seekers along the Camino de Santiago. This time to walk the Camino Portugués from Porto, Portugal to Santiago de Compostela, Spain; a distance of about 250 kilometers. Stamps collected along the route in the Credencial. Required to stay at pilgrims' hostels and later at completion, to claim the Compostela certificate. How to prepare for such an endeavour? In addition to sorting through gear and roughly planning the itinerary, I decide that besides ensuring that I was physically fit, I wanted to spiritually prepare for the journey. But what does spiritual preparation actually mean? 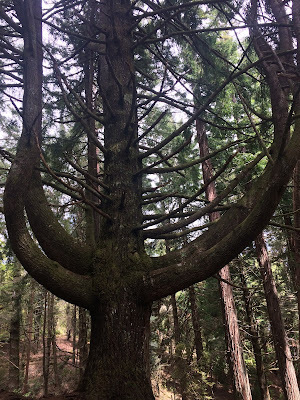 As I reflected about the purpose of my walk, the idea of somehow needing to re-connect with the Divine kept coming to mind. Communion with the sacred. Leave the everyday world to re-visit the mysterium. But how to enter into a mental framework conducive to such an other-worldly destination? 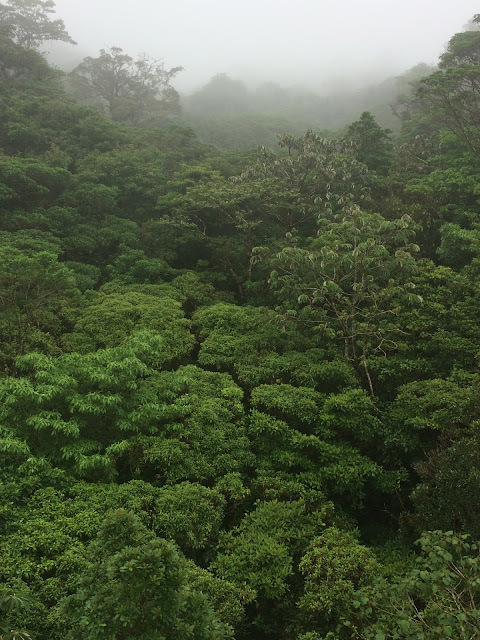 Well, other-worldly to some extent, as at the same time, it is of course very much a long distance walk amidst our quotidian world of rain, sun, fatigue and needing to find food and accommodation along the trail. Last time I partook of the Catholic sacrament of Communion was ten years ago following the death of my father. In preparation, I made confession for the first time in many, many years - to the priest who administered Anointing of the Sick to my dad - in a corridor of the hospital where he was dying, or as I liked to think - preparing for his own final great spiritual journey. 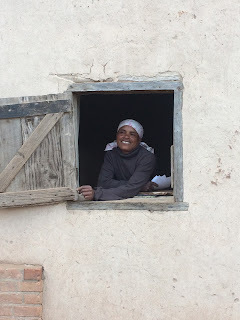 I felt that prior to embarking on this trip, that I would again receive Holy Communion as a way to identify this trip as not just a long distance hike through ancient villages but also as pilgrimage to help deepen my sense of connection to that which is Holy. Early morning at the Porto Cathedral. Seagull and I alone at the closed gates. Obtained my pilgrim's passport and attended a glorious high mass with choir and chamber music prior to setting out - way too late as it turned out! 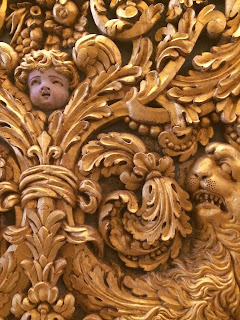 I began walking after Mass at the Cathedral in Porto on April 1, 2018. It is Easter Sunday, and also curiously April Fools' Day! Auspicious day to start. Fool or Pilgrim? Maybe I'm both. The thought pops in: Am I kidding myself? Am I just a plain fool to attempt this sacred journey? As every peregrination starts with a first step, I distract myself from dark thoughts of self doubt and begin walking. 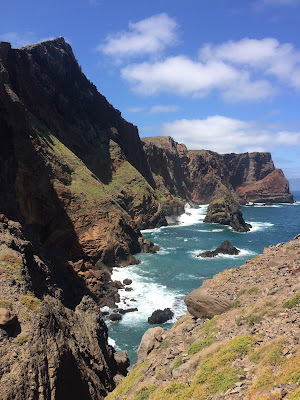 The Coastal Route, initially confusingly, does not always hug the coast as does the newer, and some say, inauthentic, recently configured Seaside Route (Senda Litoral). Not wanting to slog through the industrial outskirts of Porto, I decided for my first day I would follow this Seaside Route out of the city. I joined the traditional medieval path - the Central Way - the following day and continued along it all the way to the Cathedral in Santiago. Day Two: Lavra via Vila do Conde to Rates. 24km. Day Five: Ponte de Lima to Rubiàs. 20km. Day Six: Rubiàs via Valença (Portugal) to Tui (Spain). 20km. Day Seven: Tui to Porriño. 17km. Day Eight: Porriño to Redondale. 16km. 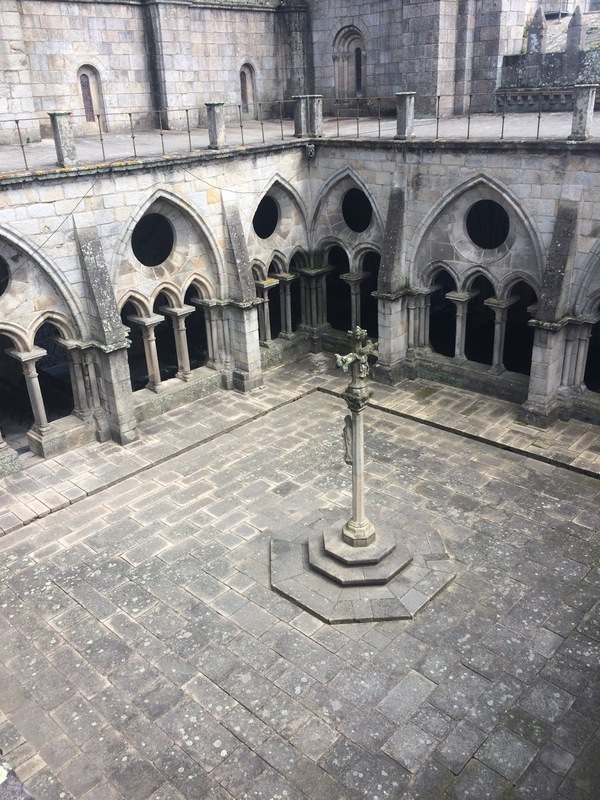 Day Nine: Redondela to Pontevedra. 20km. Day Ten: Pontevedra to Caldas De Reis. 22km. Day Eleven: Caldas de Reis to Padrón. 19km. Day Twelve: Padrón to Santiago de Compostela. 25km. Along The Way, I stayed at albergues, the shared accommodation pilgrims' hostels. The camaraderie, commiseration and motivation provided by our multinational fluid community of walkers was always appreciated. The snoring is irritatingly identical in any language! Addresses are easily located in tourist information centers, by word of mouth, Camino handbooks and online sources. For lists of accommodations and general trip preparation, I used John Brierley's book, "A Pilgrim's Guide to the Camino Portugués", guidebooks I downloaded onto my iPad from The Confraternity of Saint James website, and the comprehensive, "Wise Pilgrim Guides" app for the Camino Portugués. In Porto, I picked up "The Portuguese Way to Santiago de Compostela" by Sérgio Fonseca. Crossing from Valença, Portugal into Tui, Spain. Smiling despite the blisters and a week of rain. The poncho was another gift along The Way - as we liked to say, from St. James. In this case, from a fellow peregrino. A highlight for me - aside from arriving in Santiago, was the magic of Padron; a town one day's walk from Santiago de Compostela. Padron plays great importance in the history of St. James' mythic journey from Palestine to the Iberian Peninsula. According to the legend, it is here that Santiago came to preach the Gospel in the First Century. After several years, he returned to Palestine and was beheaded by King Herod. It is also to Padron that Santiago's remains were mysteriously returned on a stone ship by his disciples. Over the centuries, the Cathedral in Santiago was built to house the crypt of Santiago. Pilgrims have been coming to venerate this place for two thousand years. Monte Santiaguiño. 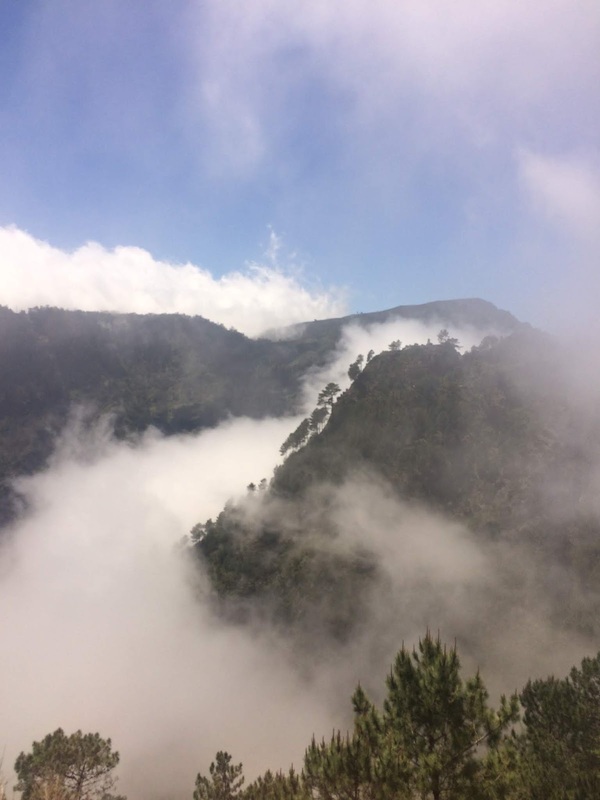 A steep climb above Padron is an often overlooked secret of the Camino. This is the place that marks where Santiago preached in Galicia before returning to Jerusalem. It is also to where his remains were mysteriously transported - to begin the timeless pilgrimage along the Camino De Santiago. The walk was very satisfying along many dimensions. Travelling by foot through ancient medieval towns in Portugal and Spain was almost akin to time-traveling. To appreciate that millions of devout pilgrims - and lowlife criminals doing penance also walked this ancient route, gave me a feeling of kinship with a larger humanity. That we helped one another along the way reflected the ethic that comes from participating in this time-honoured grand walk. The answer to the question that I posed at the start of these reflections is a resounding, "Yes!" Walking along these paths - sometimes indeed along ancient Roman stone roads - is a meaningful and necessary counterpoint to the contemporary social order which emphasizes the acquisition of limited material things and consequent unhealthy feelings of greed, envy and ultimately a disquieting sense of purposelessness. The yellow arrows that guided me from my fist step outside the Porto Cathedral and onto Obradoiro Square in front of the Cathedral in Santiago taught me that no matter where I am, I can always find my way to God. 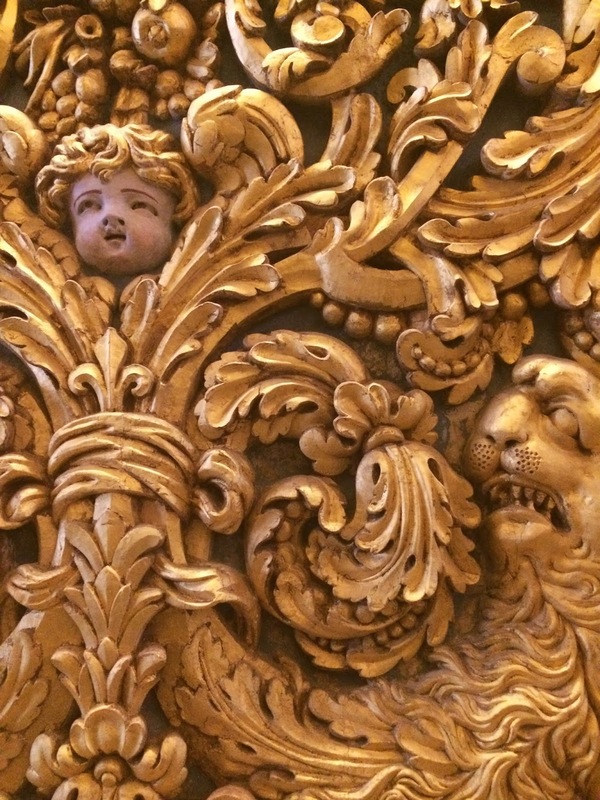 With work having begun in 1075, ongoing restoration of the Cathedral in Santiago is necessary. A reminder perhaps that there is also continuous work to be done along our own journey to self realization. 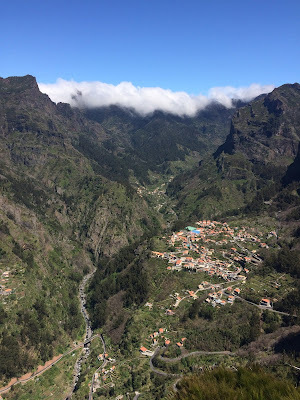 Madeira is a Portuguese archipelago and Portuguese autonomous region situated in the middle of the Atlantic Ocean. "The island of eternal spring" lies 600 km off the coast of Morocco and about 1,000 km southwest of Lisbon. Madeira's capital city is Funchal. The island's population is 280,000 with nearly half of her good people residing in Funchal. 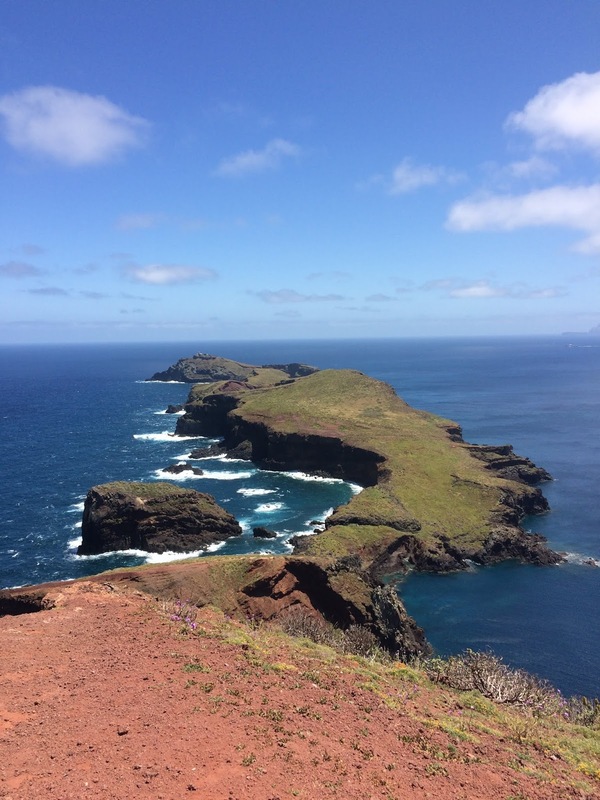 It is an archipelago as in addition to this main island, there is the tiny Porto Santo (population 5,500) and two other, smaller still and unpopulated islands - Desertas and Selvagens. 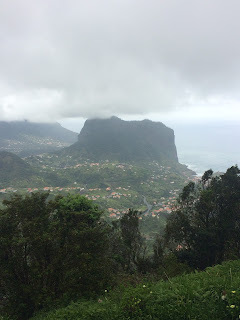 I travelled to Madeira only; flying from the city of Porto on the Portuguese mainland. While flipping through travel books and atlases - old school trip preparation - okay, and the occasional digital resource - I had initially imagined a far more ambitious itinerary: Macaronesia - including in addition to Madeira, the Canary Islands, Cape Verde and the Azores. 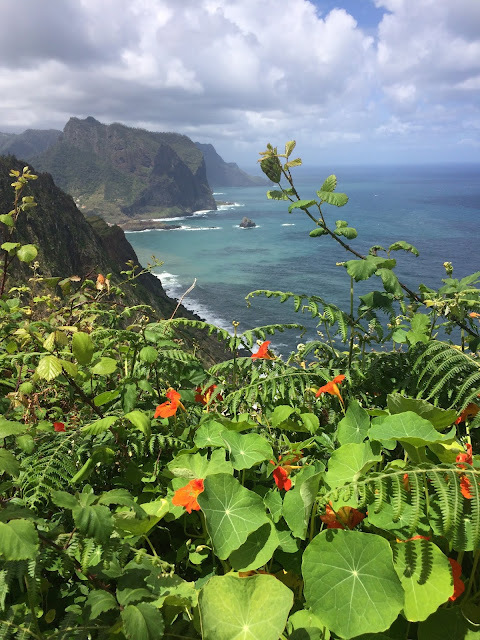 I was so bewitched by the numerous charms of Madeira that I dropped this far-flung itinerary to enjoy Madeira more fully. Good choice! To say that the landscape is breathtaking, is to utter an understatement. Madeira is a hiker's paradise. Most famous are routes along the ancient water channels - the levadas - that criss-cross the island. Many trail-heads are easily accessed via public transit. And those bus drivers - as they expertly manoeuver along scenic, serpentine roads precipitously hugging deep gorges are truly wizards. What a trip! But to be honest, even in the dry season, in order for this garden of eternal spring to flourish as it does, it must of course rain. Sometimes a lot. As can be seen here, a washed-out section of the track needed a little improvisation in order to continue. Travelling in the small Central American nation of Costa Rica, one is impressed by the varied topography and the stunning array of wildlife. 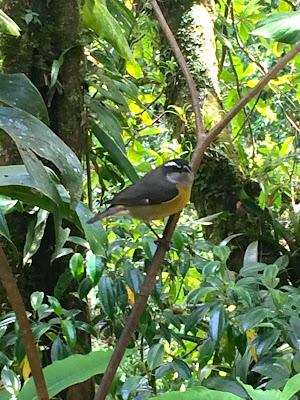 From the Monteverde Cloud Forest to Caribbean beaches to mangrove jungles and volcanoes - the fauna and flora are incredible. 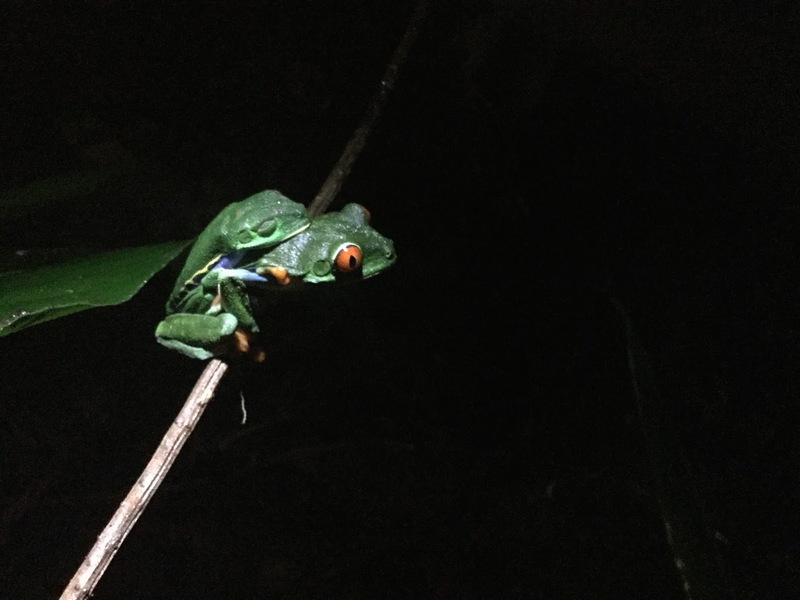 Tiny psychedelic, neon green and blue frogs, iridescent purple hummingbirds, massive day-glow orange lizards, sleepy, and, well - slothful sloths - can all be readily encountered in their natural and preserved habitats. Life is glorious, abundant and uninhibitedly in your face here! Of course, Costa Rica is not just its wilderness. The people are kind, proud and very hospitable. And as it is an election year - the people of San José voice their opposition to oppression, and as everywhere - proclaim their need to live and express themselves freely. Roger Waters on Palestine. In Vancouver. An extraordinary evening involving rock music's legendary Roger Waters took place last month in Vancouver. Yes the concert was politically charged, musically brilliant and visually spectacular. But this was different. 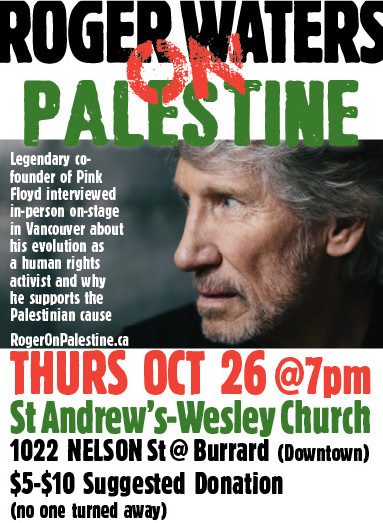 At the end of Roger Waters' North American tour and prior to the Vancouver concerts, he generously agreed to sit down with the people of Vancouver to share his thoughts on the role of the artist as social change agent and in particular, the reasons behind his strong support for Palestinian human rights. On Thursday, October 26 2017 - two days prior to the first of two Vancouver "Us and Them" Concerts, Roger Waters, the creative power and songwriting force behind Pink Floyd, presented his evolution as a human rights activist and his support for Palestinian rights in a magnificent cathedral. Roger Waters’ long-time political activism became focused on Israel/Palestine in 2006. He is one of the most prominent celebrities to join the BDS (Boycott, Divestment, Sanctions) movement, speaking out against Israel's longstanding military occupation of Palestine. In 1965, Waters co-founded the progressive rock band Pink Floyd, often called “the best band of all time.” He performed his iconic album The Wall in 1990 to commemorate the fall of the Berlin Wall. The wall that today needs to be dismantled is the Apartheid Wall in Palestine. Indeed Roger has been to the West Bank and he has spray-painted messages of political liberation onto that oppressive, massive structure. Roger Waters spoke at St. Andrew's-Wesley United Church in Vancouver on October 26, 2017. He was interviewed by Martha Roth, a member of Independent Jewish Voices. The event was chaired by Itrath Syed, an Instructor at Langara College and Simon Fraser University. The video of the event can be seen here: Roger Waters. On Palestine. In Vancouver. "Moramora". Malagasy for "slowly, slowly". Not only am I happy to hear this oft-repeated mantra reminding me to travel mindfully in this enchanted land, but why in the world would I not want to savour each minute of this astonishing place? 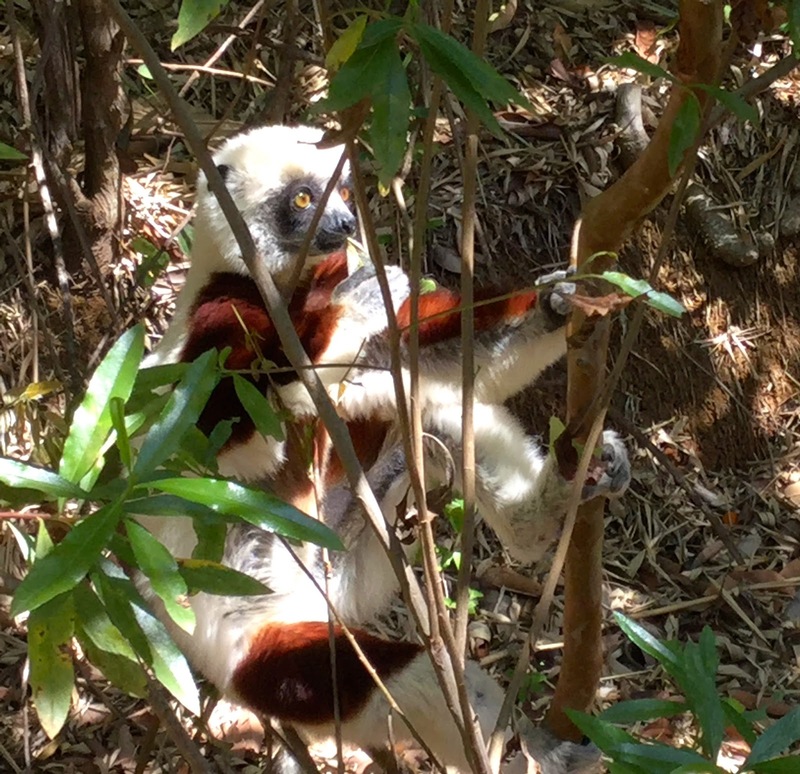 Baobab trees and lemurs are among the first indicators that Madagascar is home to unique and dazzling creatures. As roosters crow and the sun begins to rise, I am not the only one to be swept away by the sight of emerging giant silhouettes. These dogs too appear to be inspired by the sublime beauty of Baobabs at daybreak. In the Indian Ocean off the coast of Mozambique in south eastern Africa, the country of Madagascar is the world's fourth largest island. While humans began their gradual spread across the planet from Africa 80,000 years ago, Madagascar - just 400 kilometers away - has only been populated a mere two thousand years. World civilizations arose and vanished over the millennia while life on Madagascar evolved in its own unique way. 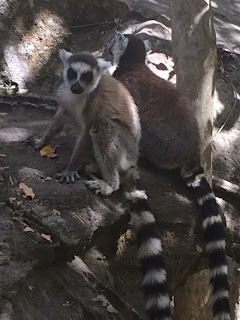 Indeed eighty percent of all living things in Madagascar today are to be found only in Madagascar. The first people who did eventually arrive here followed an extraordinary circuitous route - from the Indo-Malaysian island of Borneo. Contemporary Malagasy culture is thus a wonderful blend of Indonesian, African, Arab and more recently, French influences. Two items central to Madagascar life today illustrate the Indonesian-African nexus. Rice from Asia and the zebu - cattle from Africa - are mainstays of the Malagasy diet. The fascinating cultural interweave of languages, music and religious practices was a happy reminder to me that we can indeed celebrate a life which values unity in diversity. 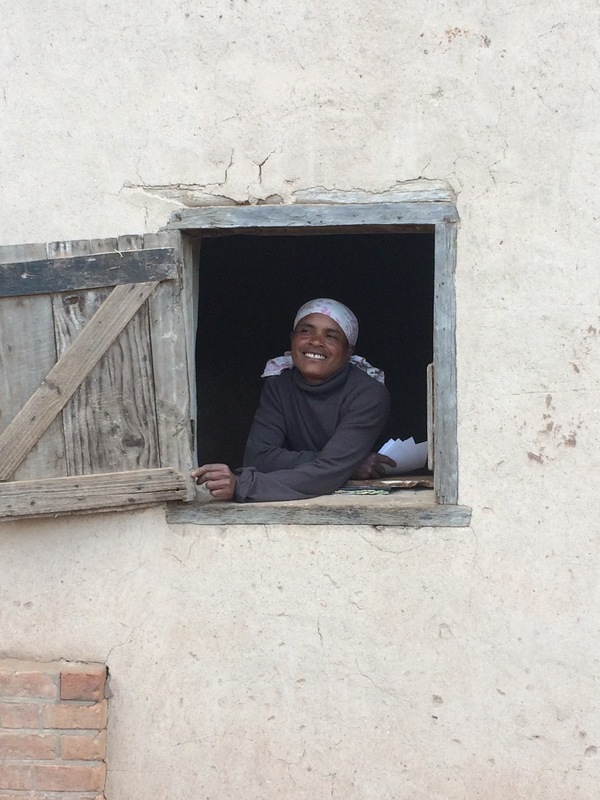 I will not forget the genuine welcoming warmth of the Malagasy people that I encountered daily. 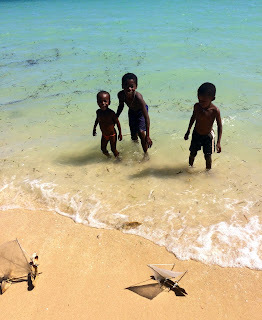 The children gleefully playing in the Indian Ocean on the west coast of Madagascar, at Ifaty and Morondava put an enormous smile on my face. Three boys proudly showed me their handcrafted little boats that are ready to set sail in the Mozambique Channel. It was not far from here, that humpback whales could be seen on their annual migration from Antarctica - to mate and give birth in these warm waters. Like them - I too hope to return to this extraordinary place. clinical & peace psychologist. spiritual traveller. social justice advocate. © john soos vancouver 2019. Watermark theme. Powered by Blogger.